may enquire about a complete collection. We have a classic, X and zero ones why not a bn for anniversary. Providing the cart would work ofcourse with them all on. I don't even think they need that much extra functionality in all fairness, BN 5 Double team was amazing in my opinion and OSS is a port of a good game. First(maybe) yay! I don't have any questions about BN, but I do like the series. The vast majority of the questions thus far seem to be primarily about Classic redesigns. I do hope they answer that question regarding Network Timeline versions of MM9 and MM10 Robot Masters. Quite the few. I wont lie when I somewhat asked myself. I basically asked "Why stop there at the branching point" and gave a few reasons as to why continue, but will most likely not even be seen. I also asked if there was anything .EXE related coming up, and told them that they made the most strategic, casual game out there, and thats a hard thing to do. Shoot. This is the kind of thing for which I've been waiting for years, but… I guess my question of "Are you guys ever going to make Rockman DASH 3?" isn't really valid anymore. I'm not sure what to ask now. But I don't really have anything to ask, personally. Here's hoping many people's questions will be answered. @Cleveland: Well aren't you SOL then? :P Just kidding. Have they ever thought of remaking the BN games for the Wii? Or is that not a good idea? Oh! Finally I can ask them about the unused 3D models stuff! What with the top down view, kinda. put .EXE and SF MegaMan in the next Capcom crossover like Marvel vs., Tatsunoko vs., and so on. We already seen Classic, and Legends as part of the representative for Mega Man already, but X is an Xception tho. Is there any plans to EXE and other Mega Man series to appear in a Mega Man only crossover, like Mega Man Universe? 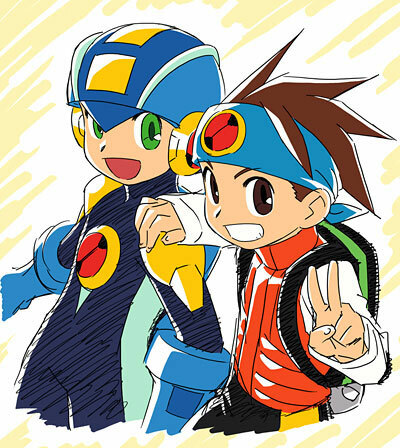 Now the realese of 9 and 10 Megaman they can continue the battle network series how sweet. When one series fails, fall back on a popular one and run it further into the ground. This sounds vaguely familiar (Classic series, anyone?). How about a GOOD crossover for EXE and Starforce? ...ok, ok, I'll shut up. I hope there will be a seventh Battle Network game. The problem is, it might not be in the language I understand(English ._;).